It's Wednesday! 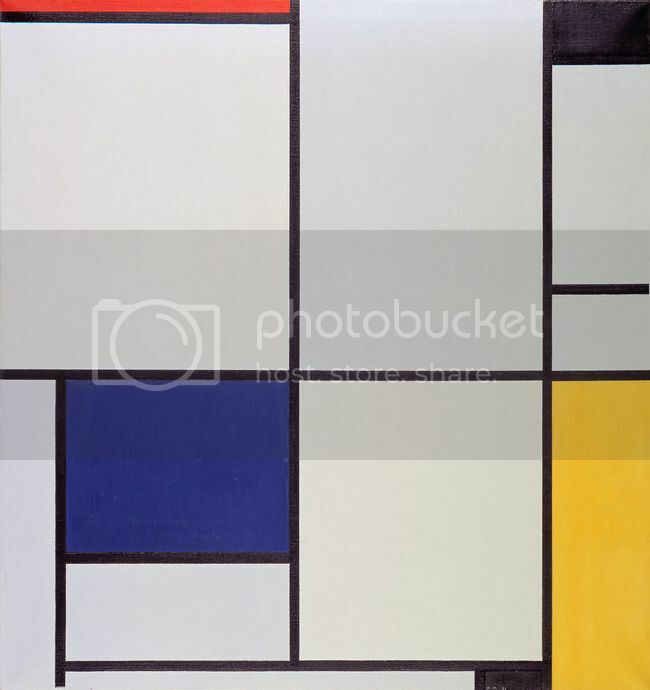 Welcome to #OnWednesdayWeWearArt - this week's theme is the art of Piet Mondrian. 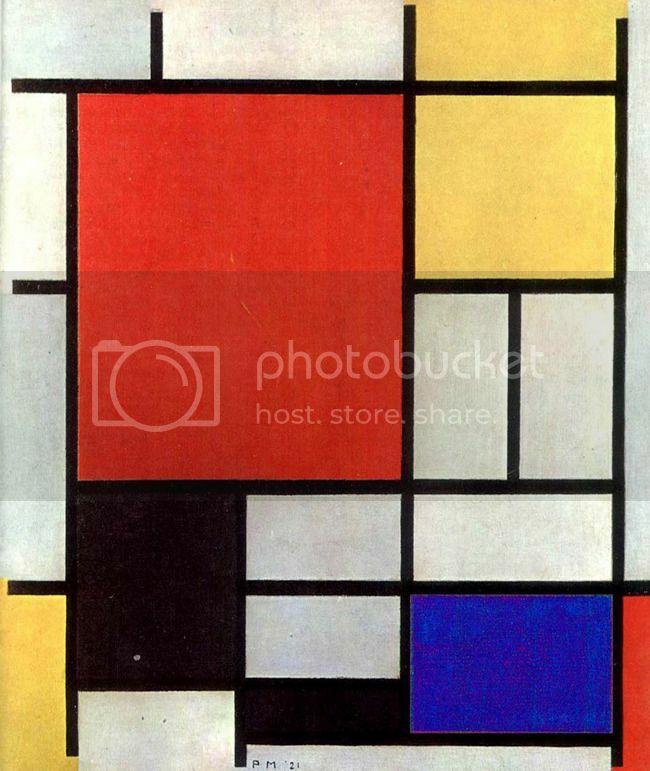 Mondrian was a Dutch painter, and part of the De Stijl movement. The artists of De Stijl (meaning "The Style") advocated total abstraction by simplifying art down to it's purest elements. Visual compositions used only primary colors along with black and white, and lines were used in vertical and horizontal directions. I surprised myself that I was even able to put together an outfit that fit this theme, but I did, and it's one of my favorite #OWWWA outfits to date! I was actually doing a closet clean-out the other day when I stumbled across this yellow and black cardigan gifted to me by my mom. I had stashed it in my "too small/save for the future" bin. Periodically, I go through the bin and my closet, and add pieces in that fit, and cull some of my items that have gotten too big. I was thinking of color-blocking and the work of Piet Mondrian when I came across my eShakti dress, first featured here. I've never been a huge fan of the blank white top of this dress, but I do love the fluffy skirt, so I will often pair it with a sweater... but never this one before! I love the combination together, so I'm sure I'll pair this up more often in the future. 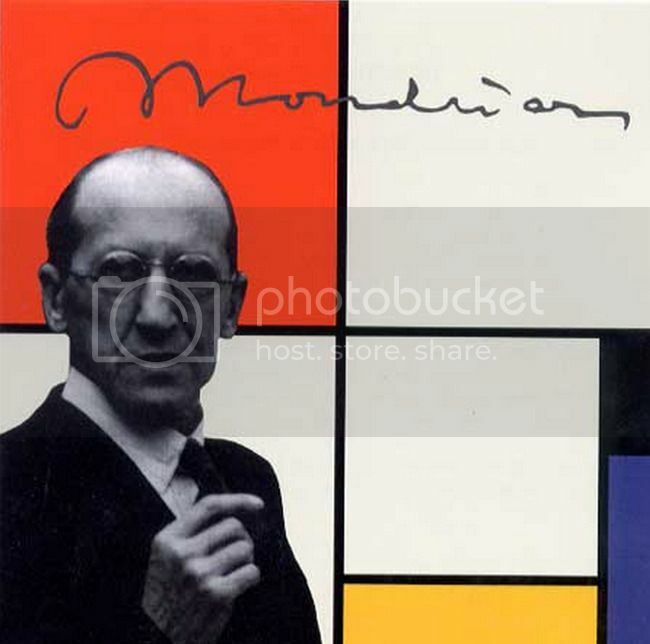 Fun fact: Mondrian started out as a primary teacher before becoming a painter full-time! Seems appropriate, as the colors of his paintings remind me of elementary school. 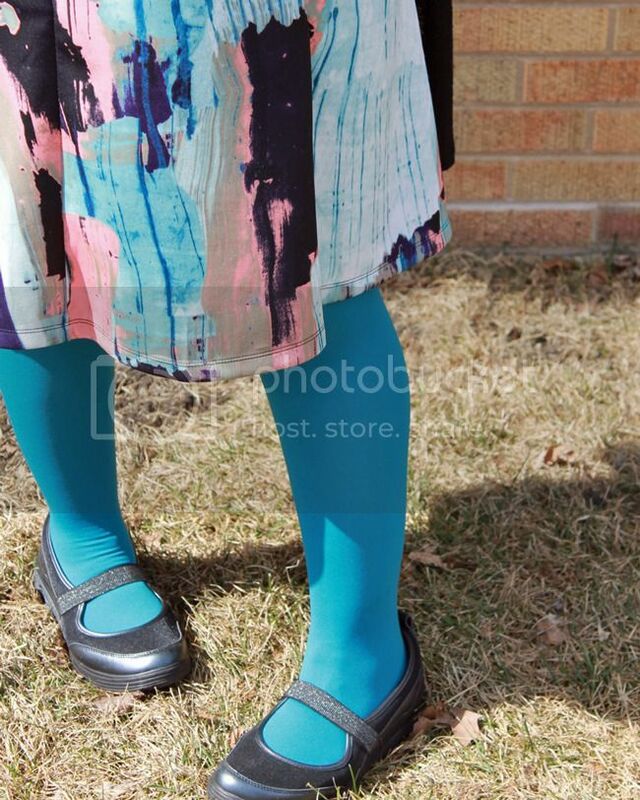 Primary teacher - primary colors... yep. 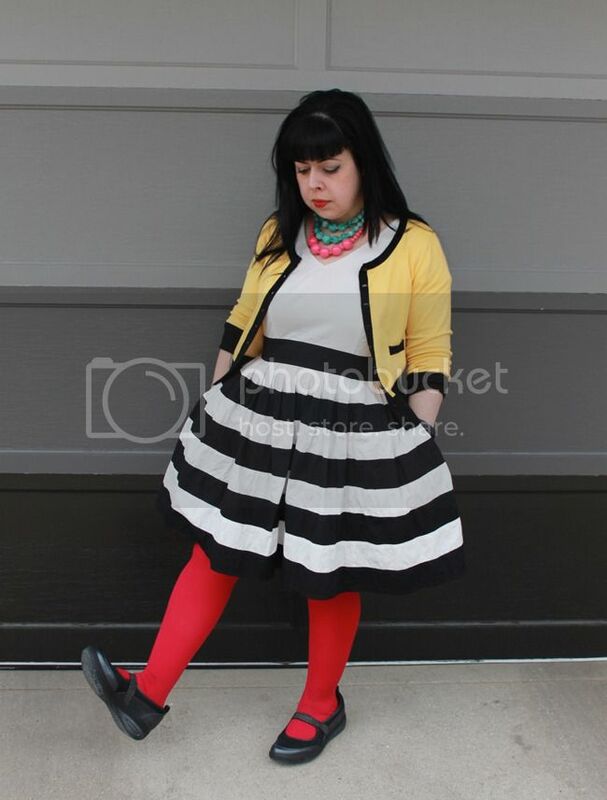 I was excited to discover that I actually owned a pair of red tights, as this was exactly what my black/white/yellow dress combination needed! These thrifted mary-jane style flats from last week are comfy enough to wear all day at work. These necklaces (there are two - the pink is one necklace and the mint is a separate double-strand) are vintage. The pink one was gifted to me by Steph several years ago for my birthday, and only recently I've discovered how great these necklaces look paired together! 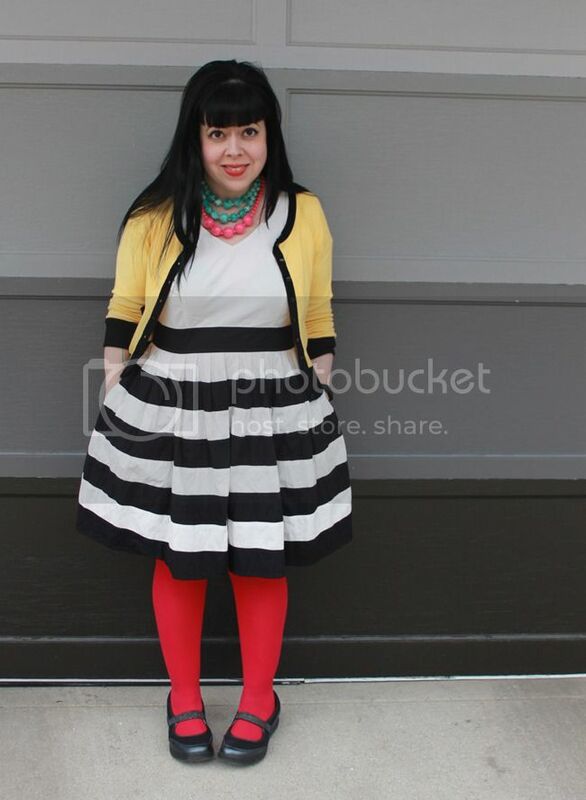 The plain white top of the dress inspired me to try out something chunky and more colorful in a necklace, and I love how it turned out. Also of note is my garage door in these photos - I've used it as a background before, but the primary colors against the neutral value scale of the door really make it pop! Perhaps I'll do a blog post this summer on our repainted garage. It's very art-teacher-y, and unlike any other garages I've seen around. 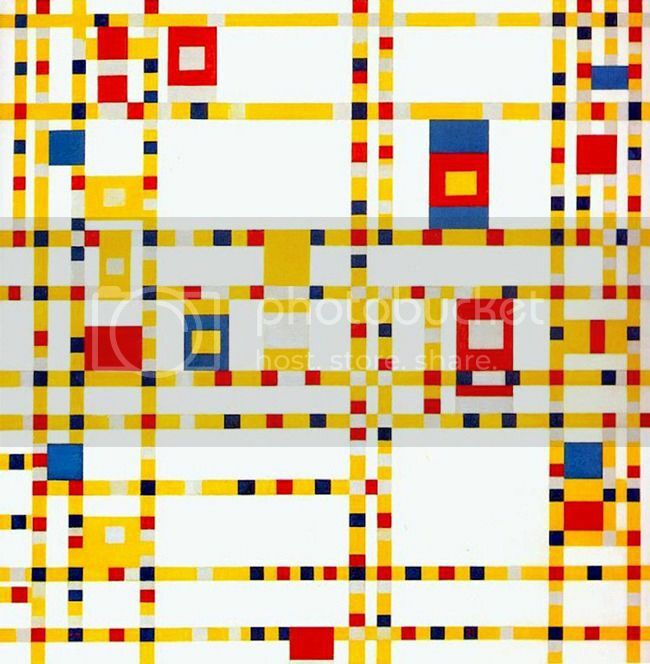 Mondrian's later paintings, like Broadway Boogie Woogie (seen above) are inspired by big band/swing music (some of my favorites!) and his New York/Manhattan surroundings, which is where he moved to and lived later in life. I've been skating with Derby Lite now for two years! I talked about them on the blog back in 2013, and I've been skating ever since April of that year. I broke my elbow (while skating) and had to have two screws put in, which meant a break from skating for a couple of months, and then took a second break during my bariatric surgery recovery. But I've always come back, and skating is one of the things that I love to do the most! I recently bought all new gear (my helmet and my pads had both gotten too big!) 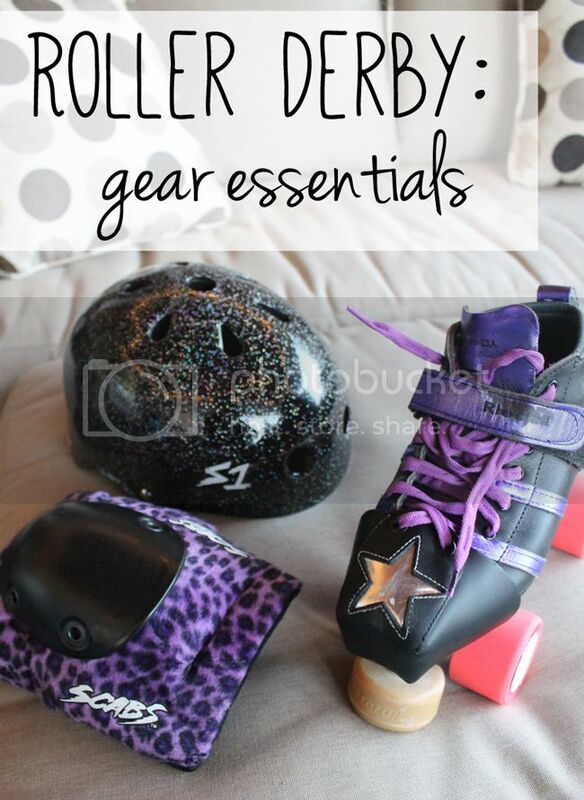 and it seemed like a good time to go over all of the gear that one should have in order to skate, including some of my favorite recommendations, starting with skates! First, you've gotta have skates! I started out with a very basic skate issued to me via Derby Lite. 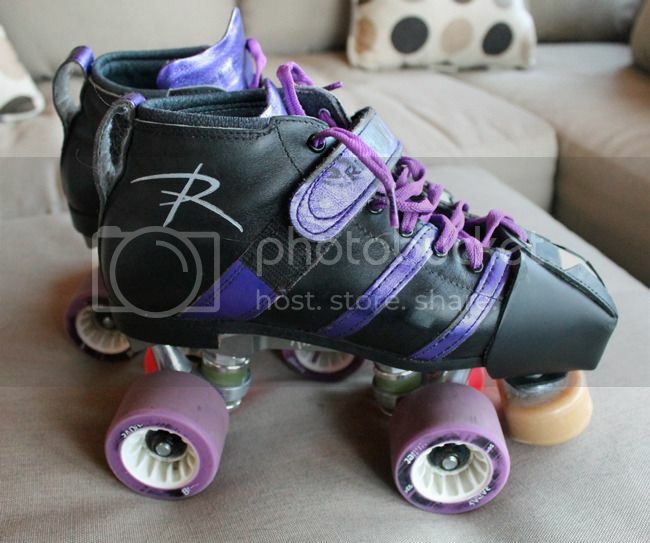 But two Christmases ago, I purchased a new custom pair of skates. 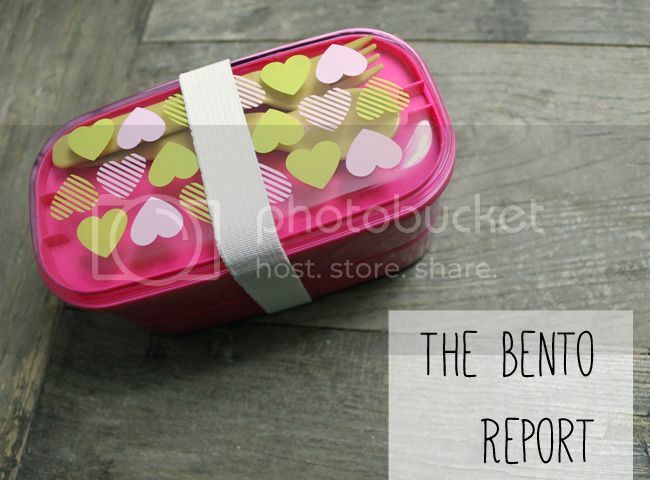 I blogged all about it here. Notice all of the wear love that's been given to this pair over the last year! I recently upgraded my toe stops, and I love them! They're Crazy Bloc toe stops. Because they're so big and flat, they're perfect for walking on and using to help get a running start. 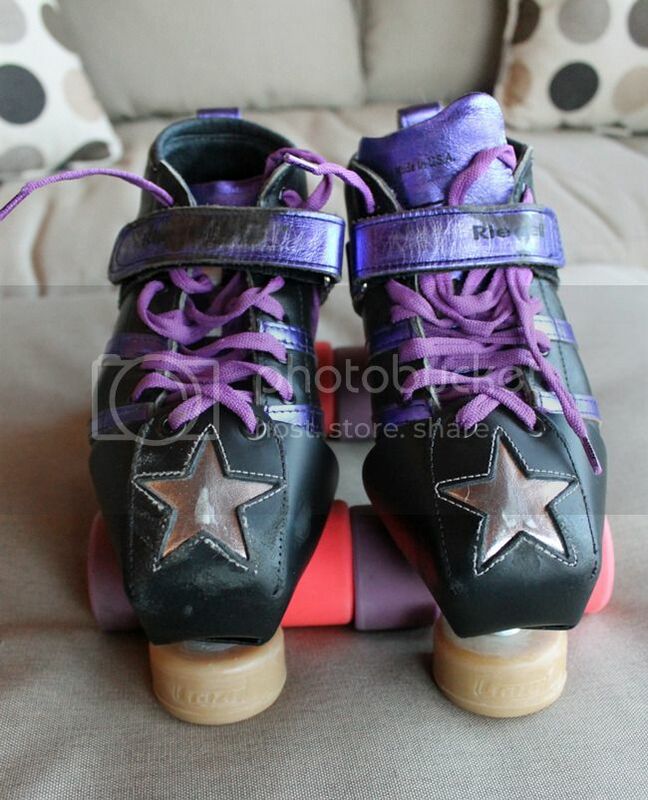 I also customize my skates with colored laces and a pair of toe guards via DerbyVixen on Etsy. Our basic derby kit came with Triple Eight pads for all of the above. I ended up switching to a pair of Killer 187 knee pads, and they are hands-down the most comfortable things to ever fall on! But they are bulky - ridiculously bulky. 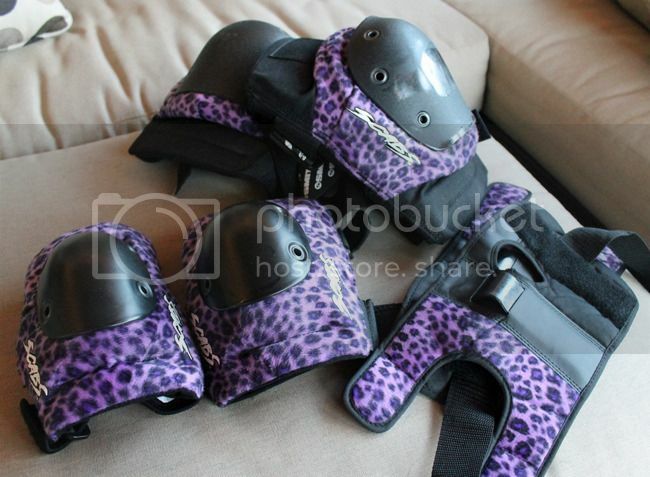 When I noticed that my gear was getting too big for me and that I would need to get new gear, I went all fancy and purchased this coordinating purple leopard set from Smith Scabs. You don't need to buy all three together as a set, but sometimes you can get a good deal if you do. My set was on sale at Medusa Skates! 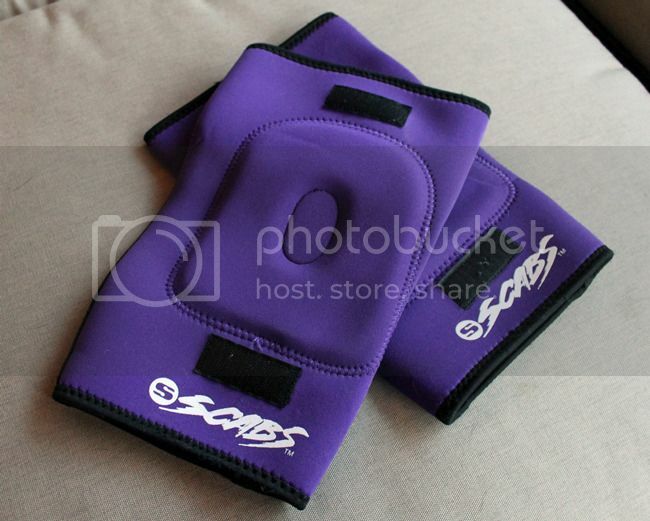 These are sleeves that go under your knee pads, made from neoprene and designed to help absorb sweat. 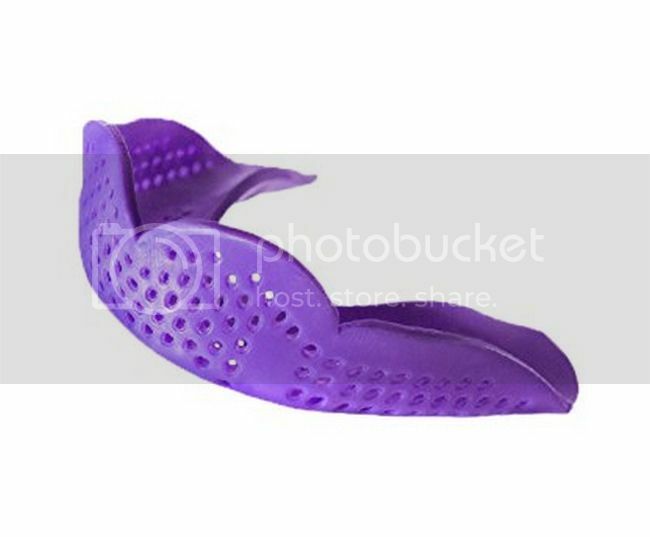 I bought them mostly just because they were purple, and I wanted to find something to help keep my knee pads from shifting when I had slippery leggings on. I usually don't wear them, but I know girls who swear by them! I bought these on a whim the same winter that I got my new skates. 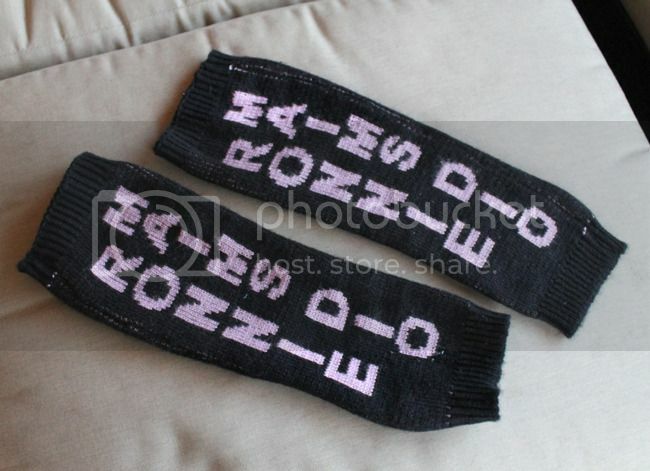 Every time I wear them I get compliments, and they sure are convenient on those really chilly winter nights! I love that the heel end is made to fit over the heel of your skates. 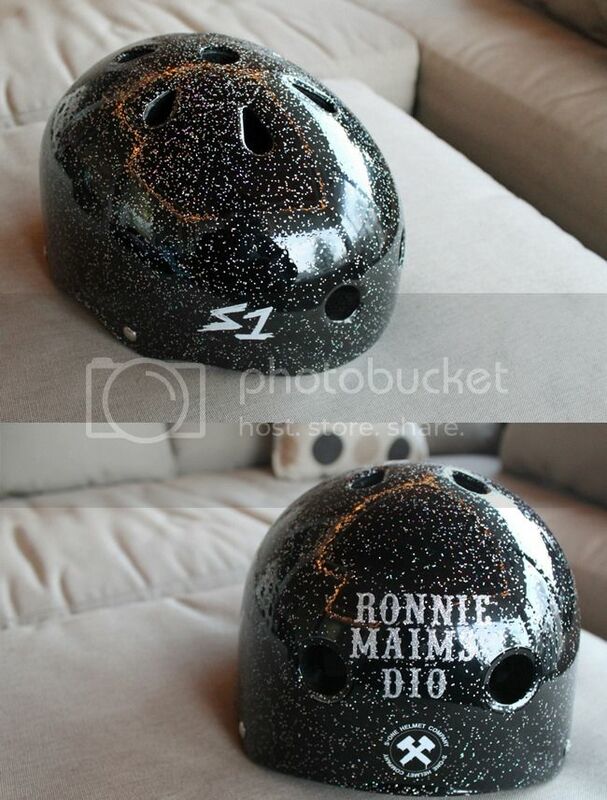 There's usually a little wait to get these, since they're custom, but it's totally worth it. By BlazingNeedles on Etsy. 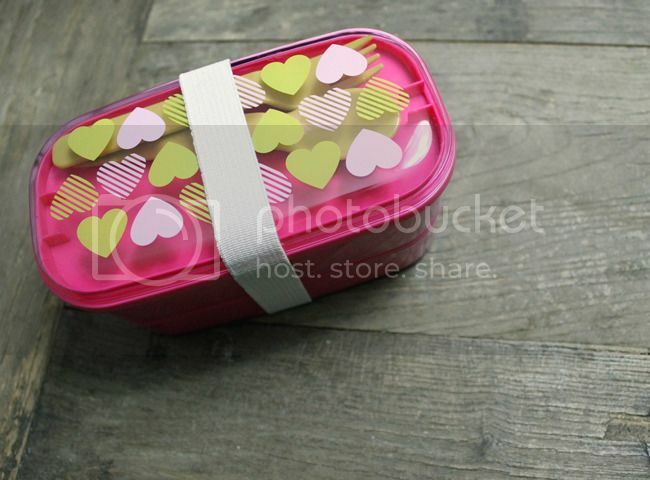 I just bought these for myself last week! After skating outdoors in the St. Patrick's day parade this year, I decided that I should skate outside more. 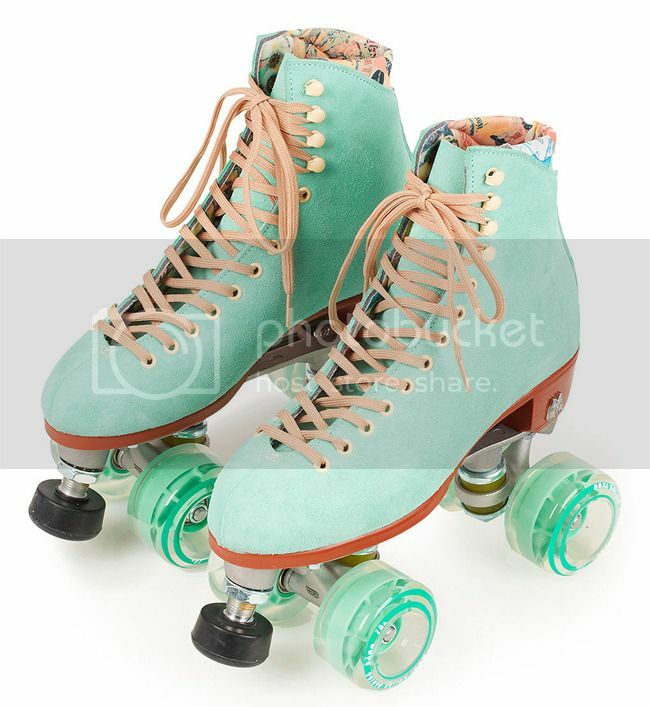 These skates by Moxi are super cute (they come in purple, red, pink, and turquoise besides the mint pictured above!) 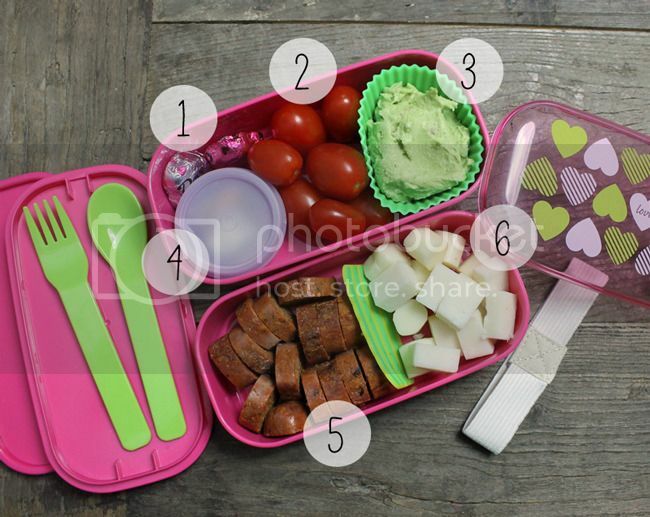 and they come with wheels designed for outdoor use. This is definitely a luxury item (not needed for derby at all), and I'm told that the heel makes skating on them an adjustment from derby skates, but I can't wait to bust out these babies this summer! 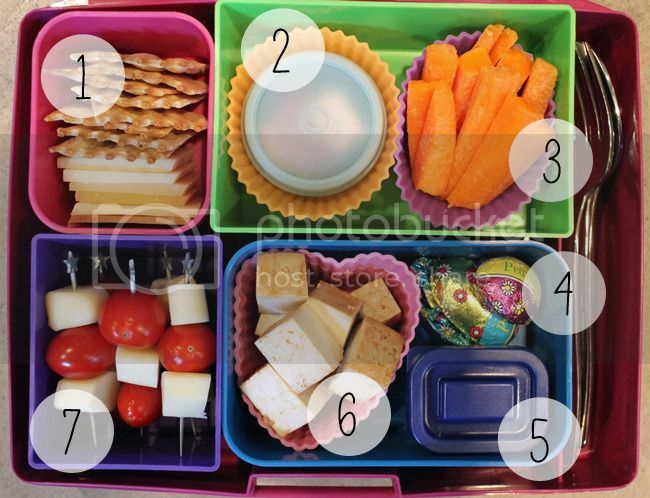 If you're busy like me a good breakfast can be difficult to come by during the week. Especially on Monday morning...I miss the luxury & comfort of the good old fashioned bacon and eggs. 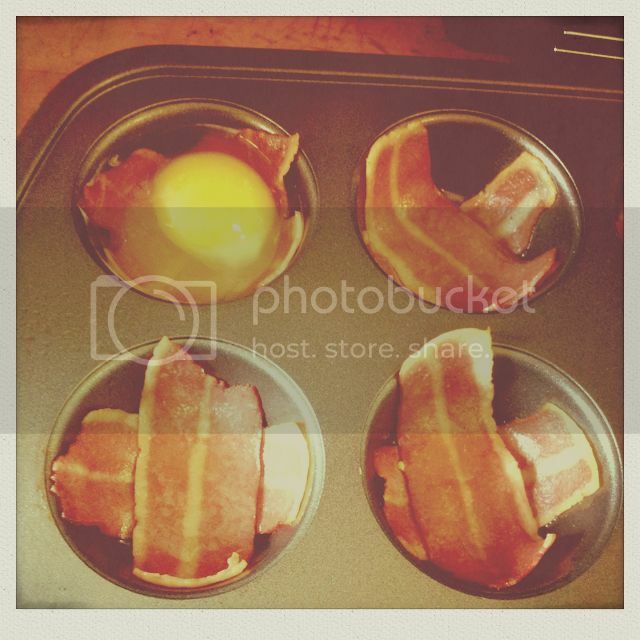 Well, this weekend I had an epiphany and I've had bacon and eggs at work every morning this week! 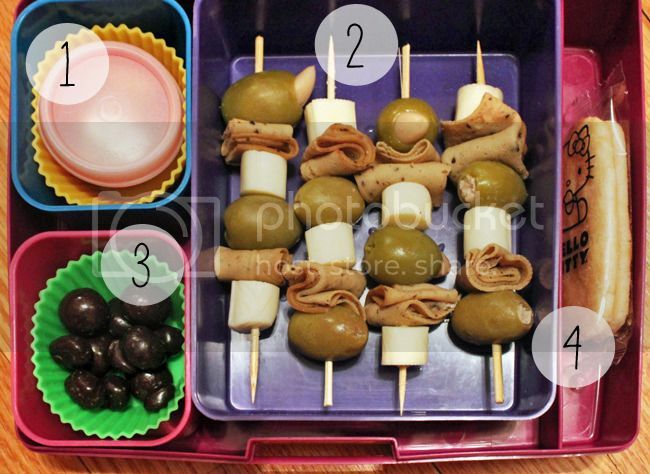 :) Check out this new spin on an old favorite! 1) Pre-heat your oven to 375. 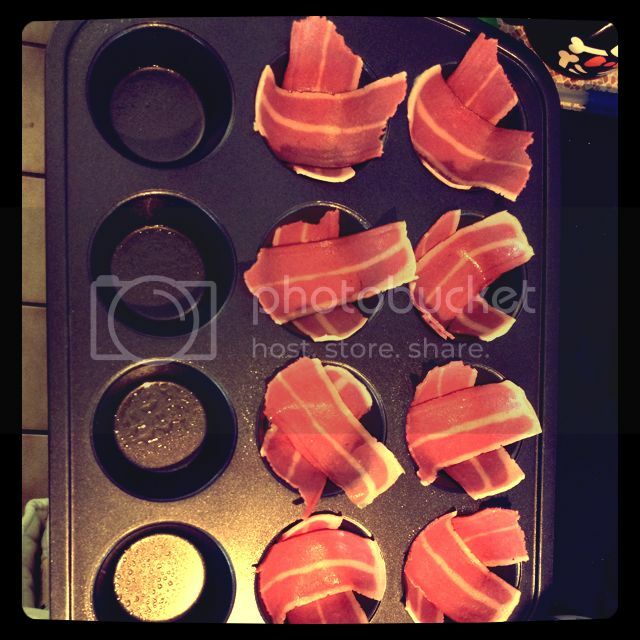 2) Cut your bacon strips in half and place in muffin tin in a X formation. 3) Bake bacon for 5 minutes and then pull out of the oven. 4) You can make your eggs however you want (scrambled, over easy, etc...), but pour egg mixture or crack 1 egg over each bacon X. 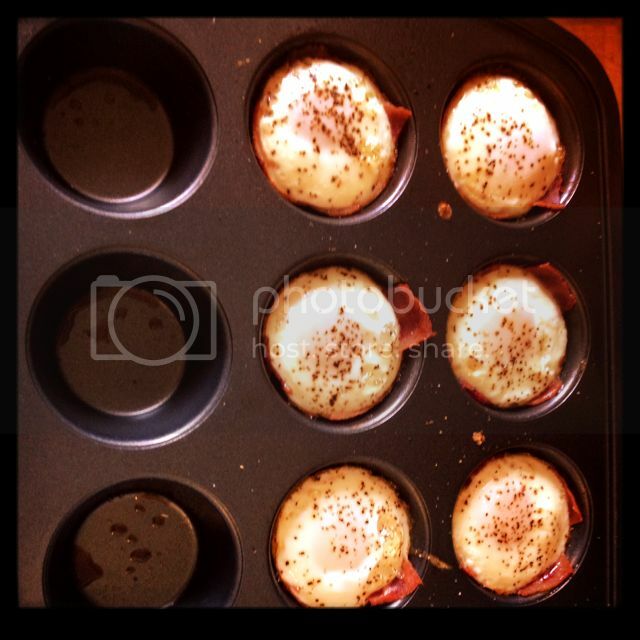 5) Bake for 10 minutes or until eggs look done enough for you! Welcome back to #OnWednesdaysWeWearArt! 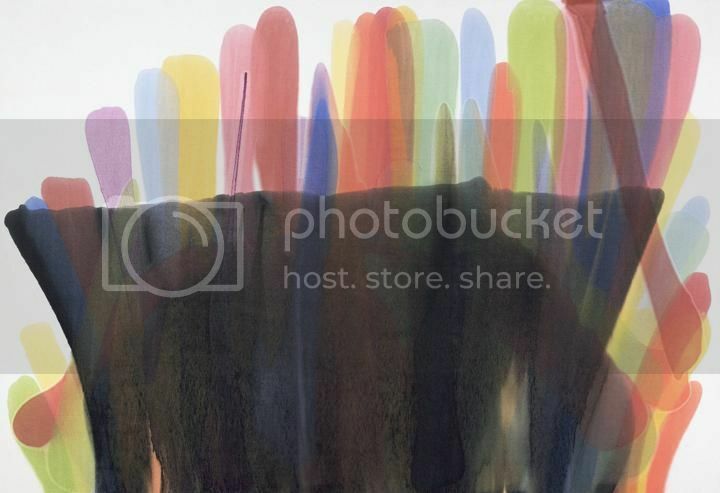 This week's artist is Morris Louis. 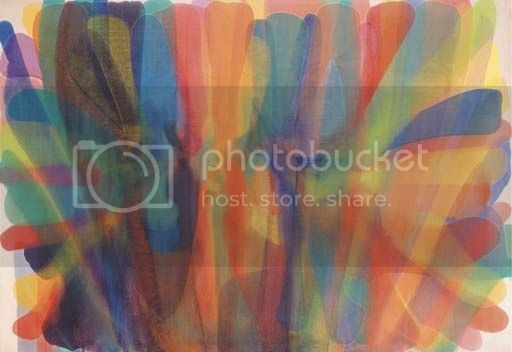 Morris Louis is an American "Color Field" painter, which is a type of modern abstract painting that is usually characterized by large fields of flat color spread across the painting. 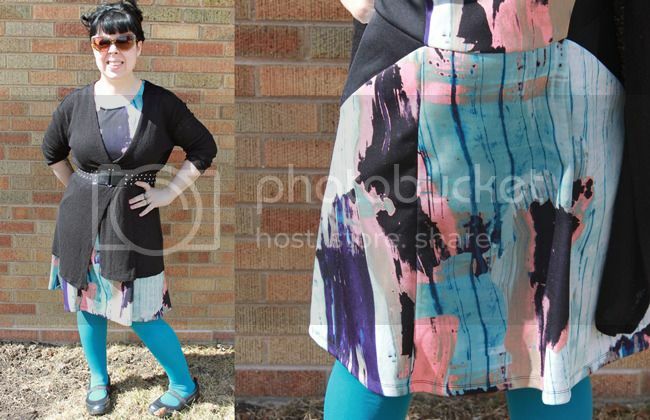 I bought this dress from Target recently, specifically because the pattern on the fabric reminded me of an abstract painting, much of which is very expressionistic and with fields of flat color. getting fancy with the .gif here...! 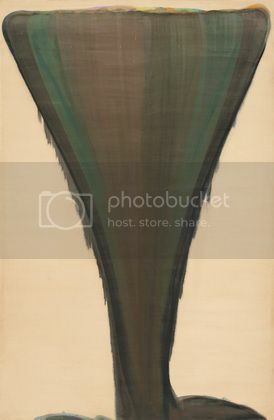 Random trivia: Morris Louis was diagnosed with and died of lung cancer, attributed to his prolonged exposure to paint vapors. He was only 50 years old. Ugh. So... on that happy note... I am glad to see that the weather has improved so much lately. I celebrated by taking photos outdoors, even though the grass is still dead from being covered by snow. 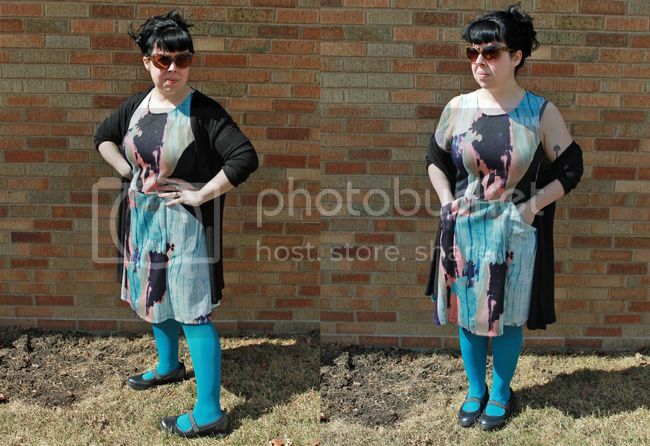 As you can see, it was very bright out when I took photos, so it was hard not to squint and make stupid faces. 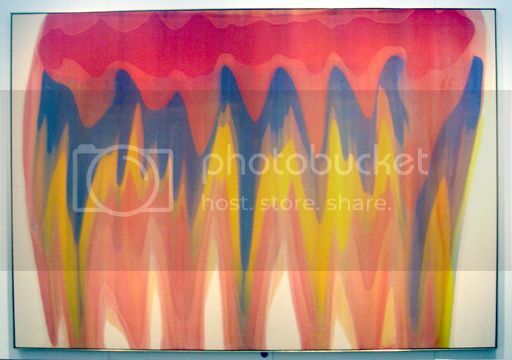 I love how so many of Morris Louis' paintings look like they've dripped and slid down the canvas. 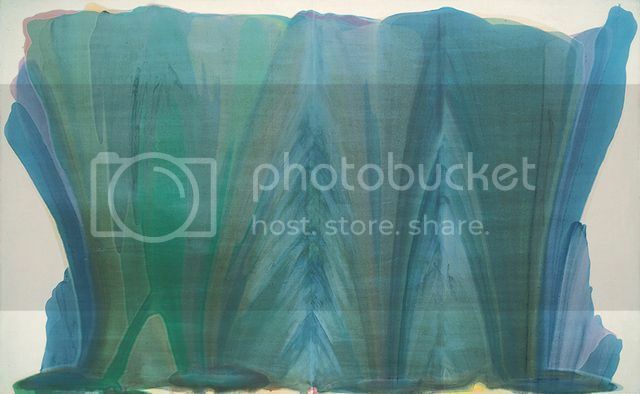 It's very watercolor-y looking, although my research informed me that Morris Louis used a paint called "Magna paint," which is an oil-based acrylic paint. Another artist that used Magna paint was Roy Lichtenstein. 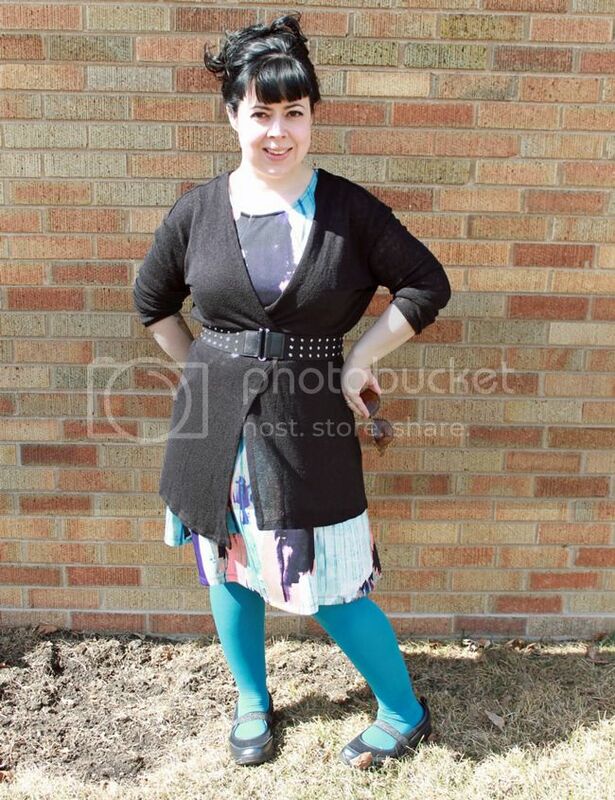 The quality of the image above is not amazing, but it really reminded me of the pattern on my dress, so it seemed appropriate to include. I think you all know and understand my love of dresses with pockets. 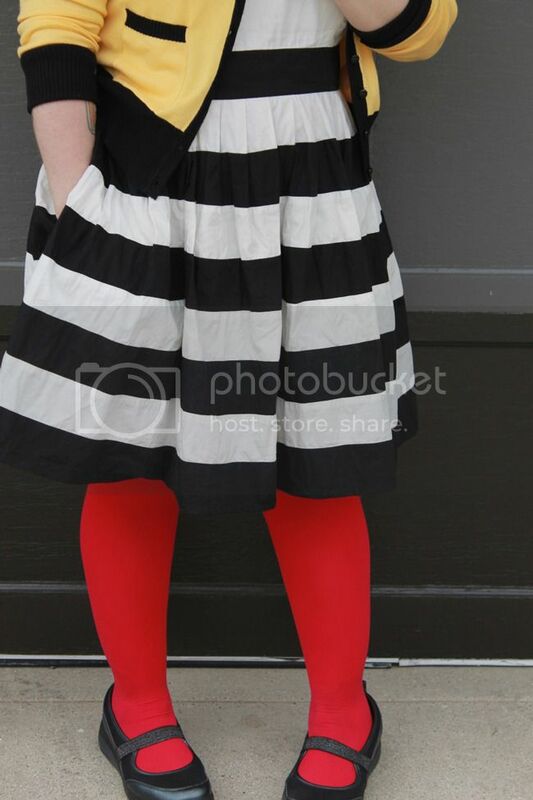 Bonus awesomeness for this dress! Thanks for coming to hang out for another #OWWWA! 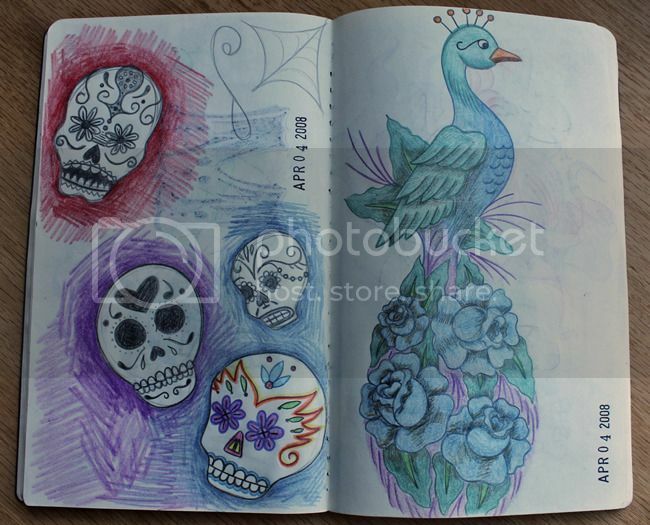 I have a hard time finishing sketchbooks and art journals. I have great steam when I start them, but then I taper off and tend to never finish them up. 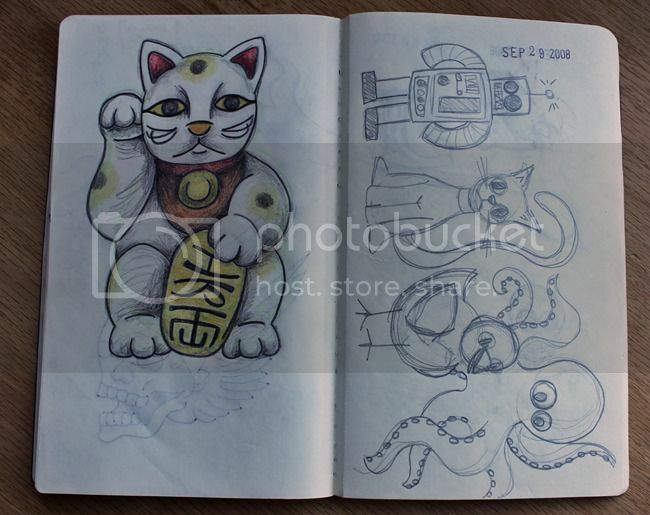 In fact, I think I've only really finished one once before, when I pretty much had to for the Sketchbook Project, back in 2011. But recently, I finished another one, all by myself on my own time! Woo hoo! I thought I'd share some of my favorite pages with you here. 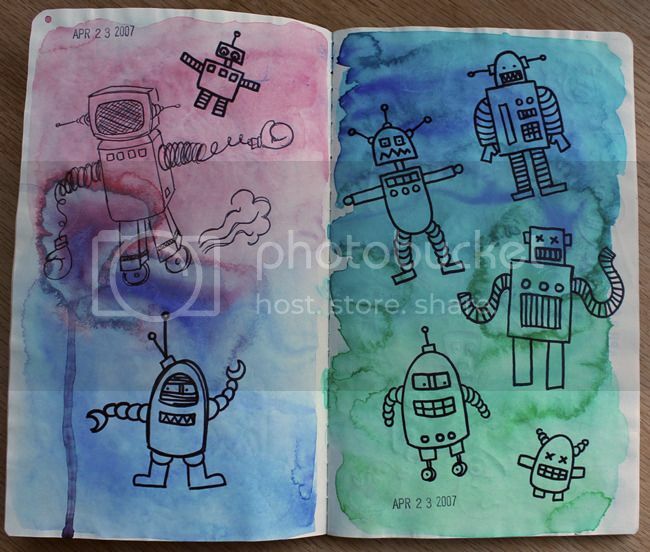 I first started experimenting with watercolor wash backgrounds in this drawing. This is one of my favorite techniques to use! 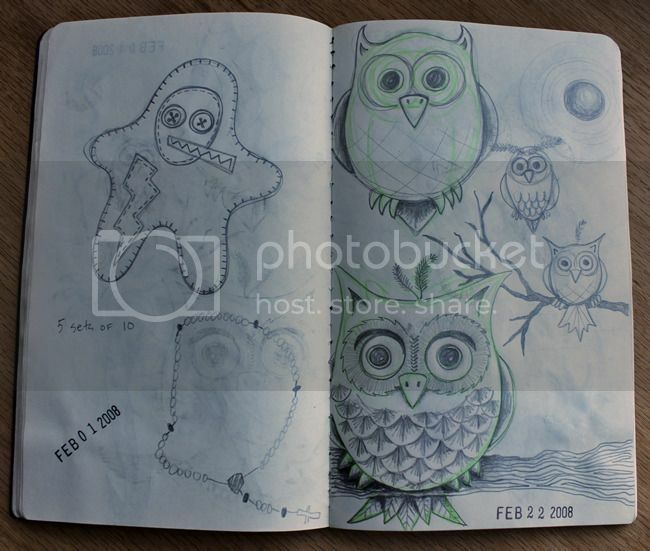 Above: These were sketches for a series of soft sculptures that I was making back in 2007. 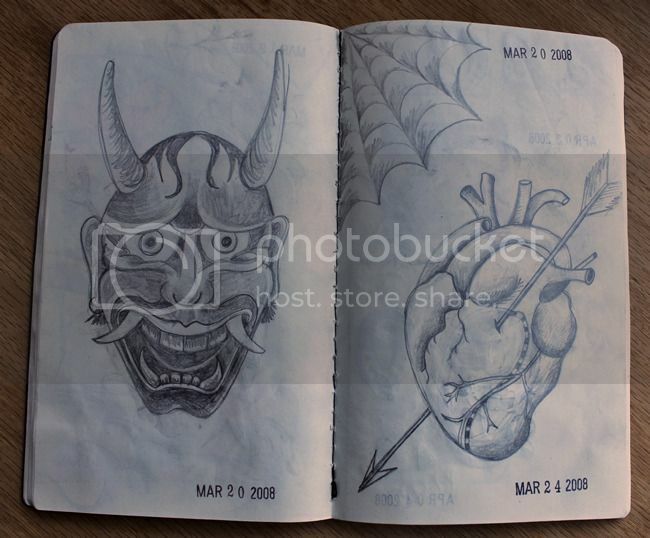 I daydream that one day I might get to try my hand at tattooing, therefore I have a bunch of sketches from 2008 where I was attempting some more traditional subject matter. I have a tattoo of a letter "L" in a circus font on my left arm. 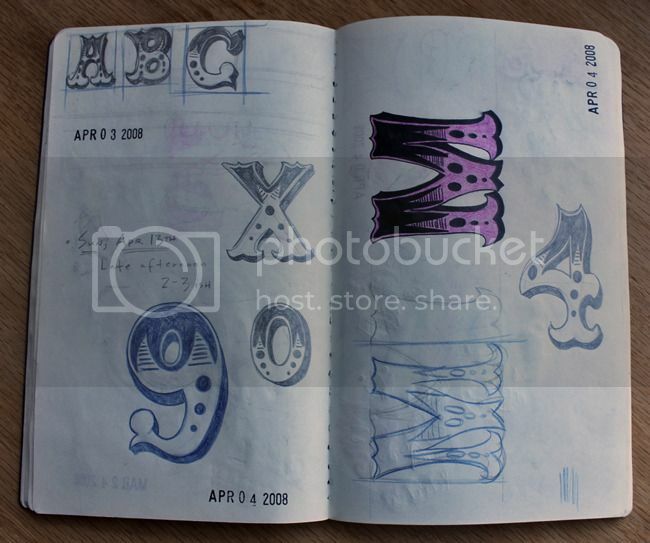 The sketches below were my attempts to hand-letter in that style. 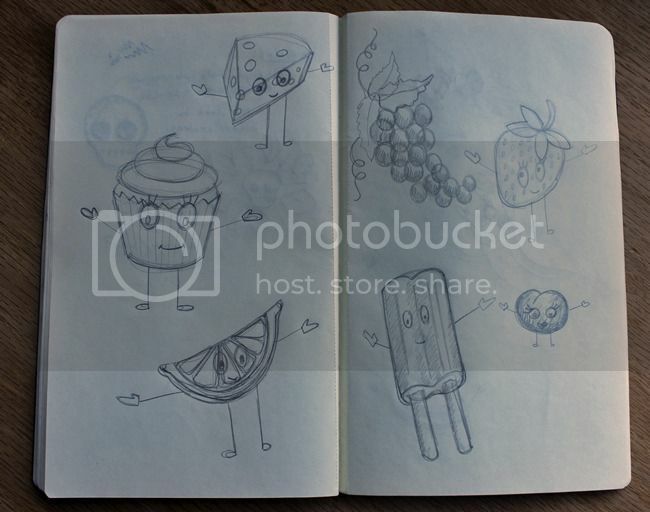 I think that the food with faces (below) was around 2009... maybe 2010? 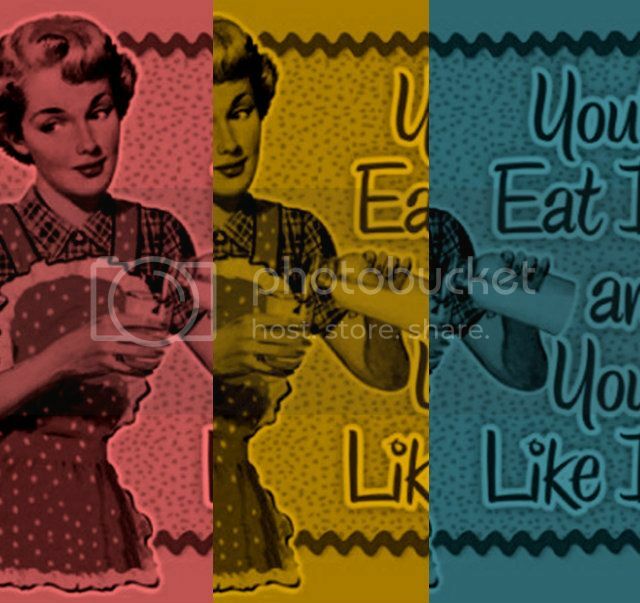 I completed a series of collages in this style and was fascinated by the idea of personify-ing items by giving them eyeballs. 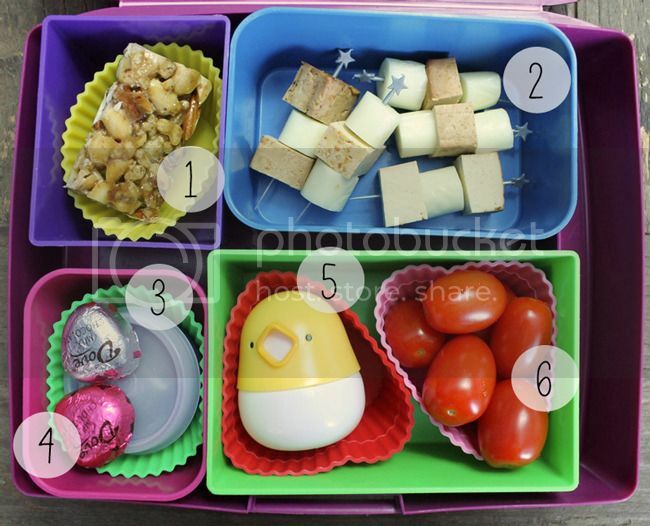 Coincidentally, it also makes objects cuter. Not bad. The next few pages are more recent... 2015, in fact. I sometimes just draw things that are around me. 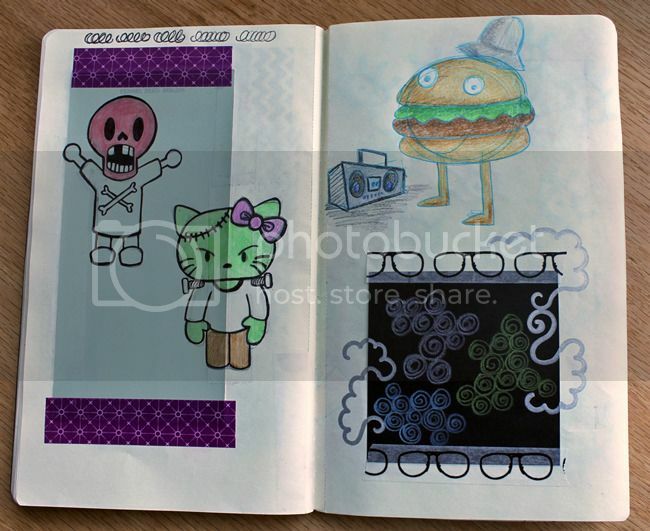 Hip-hop hamburger is a Nerfect design, and the Red Skull and Hello Kitty designs are sketches done from keychain charms that now live in my planner. I've become pretty enamored with watercolor lately. I tend to use it as background layers, but I've also done some full paintings (as seen in my donuts artwork). Some of this stuff is just messing around with inspiration and images from places like Pinterest, other stuff is just experimental with media and tools. 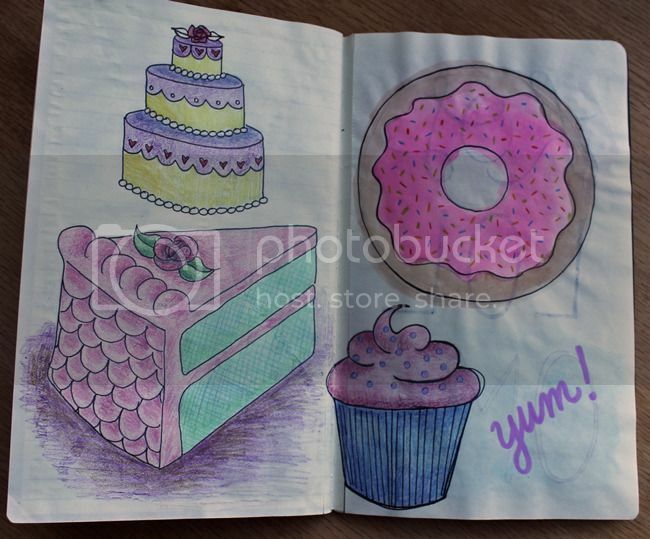 The cake/donut/cupcake pages were mostly completed in faculty meetings. Gotta love those. At least something positive came out of them! Ha! The donut (above) was also my test painting for my bigger donut painting. 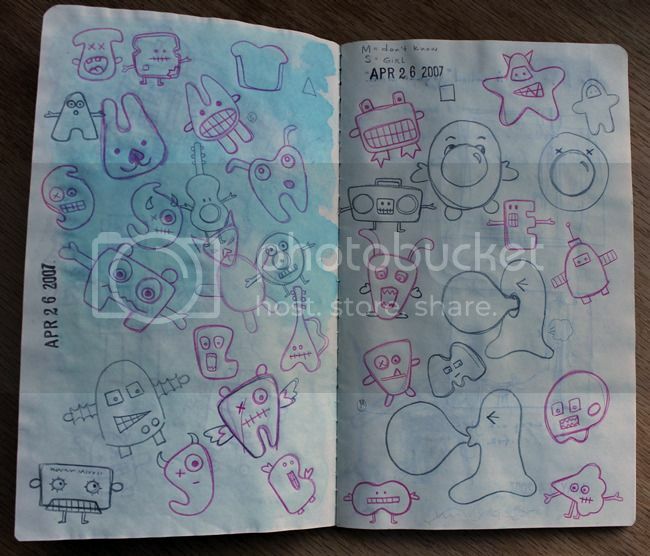 Sometimes I'll do a drawing or sketch, and I really like it, so it turns into something bigger. I've also done a second cake slice image since this one (above). 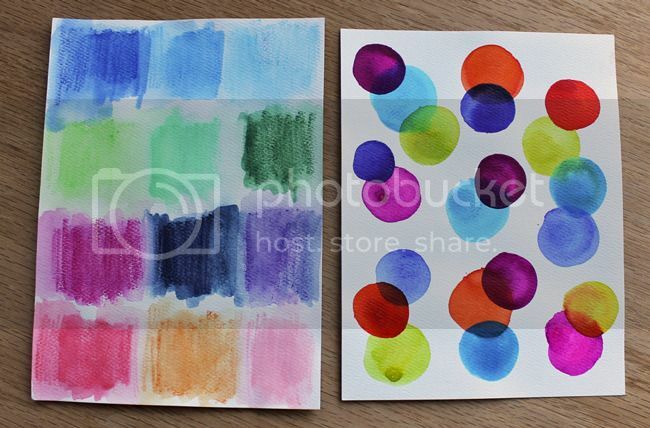 These color swatches (above) are just experimental stuff on watercolor paper, outside of the actual art journal. 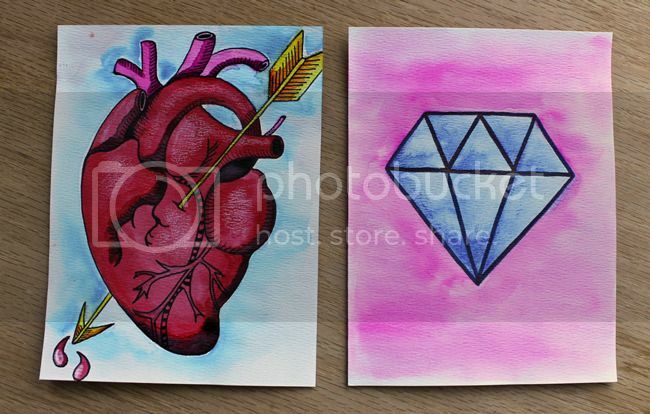 On the left above, I was trying out some watercolor pencils. The end paper looked cool, so I saved it as a painting on its own. So you can see that some of my work is more developed than others. I used to be really self-conscious about this, only wanting to show off my more developed/finished pieces with the world, but I'm forcing myself out of my comfort zone and trying to make something every day, no matter how "good" or "bad" it might be. 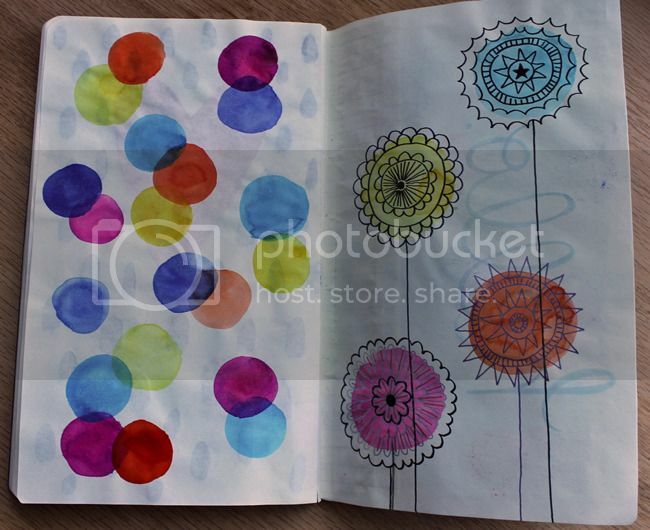 I'm currently participating in an art journal challenge sponsored by My Friend Court (@myfriendcourt on Instagram), called #MakeYourMarkMarch - all of my latest art journal works are being featured there, so if you follow me on Instagram, you can view them live each day!